NinjaBee Games: Keflings DLC To Arrive Oct. 26! In t-minus 8 days the new DLC for A World of Keflings, "It Came From Outer Space", will set down on Xbox Live Arcade. The new add-on, which includes a new alien-themed kingdom, will increase the game's total content by more than 30% and add two to four extra hours of gameplay. 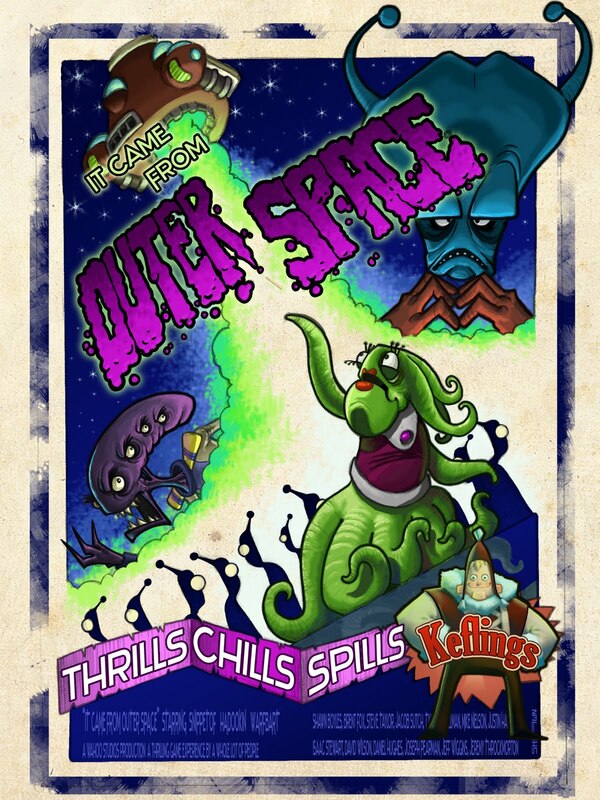 "It Came From Outer Space" is set to release on Wednesday Oct. 26 and will be priced at 320 Microsoft Points. Does this DLC have additional achievements? Yep! There are three new achievements that add up to 50 gamerscore in the DLC. Thanks for the reply! Adding to my DL queue. how to play it once installed on the xbox? To access the DLC got to start a new game, once you do you'll see a "Choose Story" menu. You can toggle left and right between the main story and the 'It Came From Outer Space' story. Have fun! It look awesome. How can i play?